About Teak | . :: AspenTeak ::. Teak (Tectona Grandis) has been well known for centuries for its quality, durability and beauty. Teak is a very hard, extremely dense grained wood with a very high oil content. Teak’s high oil content enables it to naturally repel moisture while preventing it from drying out, rotting or warping, making it the ideal wood for outdoor furniture. All of the teak used in Aspenteak furniture is of the finest grade and the choice for consumers who demand excellence in their home furnishings. Teak furniture can be left outdoors year round in sun and snow for decades and will last in excess of 75 years. Teak requires virtually no maintenance, it does not rot or warp, remains neutral in temperature and is very smooth to the touch. 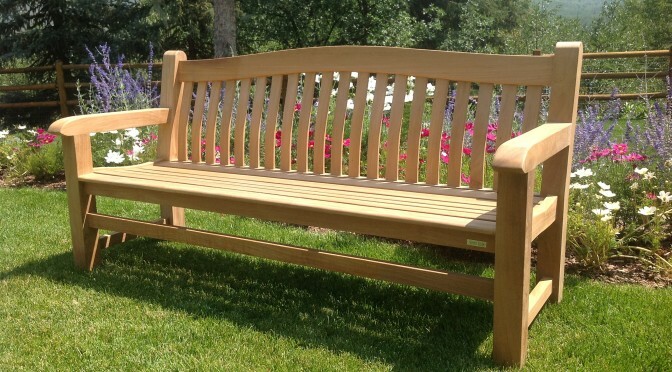 There is no finer wood for outdoor furniture than teak – it is timeless and will remain a classic for years to come. Valued for its strength and durability, teak will endure a lifetime of outdoor use and exposure to the elements. There is simply no substitute. How do I care for my Teak furniture ? Teak is often misunderstood as a “high-maintenance” timber, when in fact it requires virtually no maintenance whatsoever. We absolutely do not recommend any oiling. Oiling your teak furniture will create a maintenance schedule and will allow mildew and mold to grow. Untreated, the surface of teak furniture will gradually weather to a beautiful soft-silvery patina, depending on the amount of sun and weather it is being exposed to. Occasional cleaning with mild soapy water and a medium grade nylon brush, will clean most dirt accumulations. For best results, we recommend the use of our Teak Cleaner to restore your furniture to its golden brown color. as roof joints and trusses for its resistance to wood rot and general durability. given an entire generation of time to mature. This maturity brings with it an immense resistant to weather. Any of our Reclaimed furniture pieces are the real deal. Certain Big Box Retailers are cutting corners and cost and sell the “vintage look” rather than true reclaimed teak. It is not really about cost as there are cost benefits in using Unwanted material but more about supply as it takes energy, resources and time to seek out sources of reclaimed teak.